Proving it's more than just a haven for flat-billed tattoo enthusiasts and Disney-branded tourists, Orange County is hosting the global debut of the 2012 Honda CR-V concept. The slick-looking crossover gets a serious style upgrade, and judging by recent Honda concepts, it's all but certain to be a very thinly disguised version of the production CR-V.
Before it goes on sale later this year, the fourth-generation CR-V that you can buy in stores will be shown to crowds at the 2011 Los Angeles Auto Show. Behind the updated lines, the automaker promises that we'll be getting improved fuel economy and new innovative features, but it isn't talking specifics. 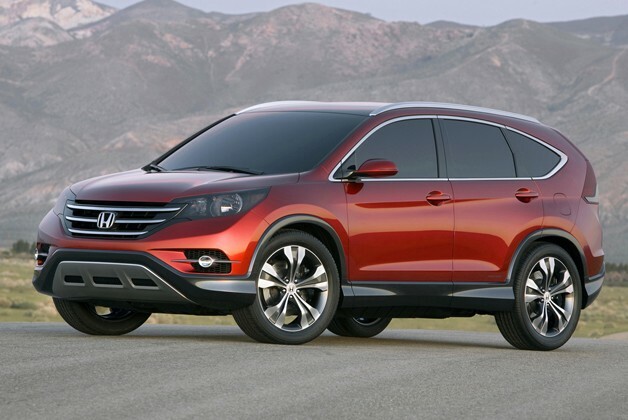 Stay tuned as more news of the updated 2012 Honda CR-V rolls out. For now, if you can't run over to the Orange County Auto Show, check out our high-res gallery of the concept, then click past the jump to watch a new video discussing the concept.